We recently volunteered with Petaluma Bounty to help design the new Arroyo Community Garden, creating a design, layout, and material plan from the project. 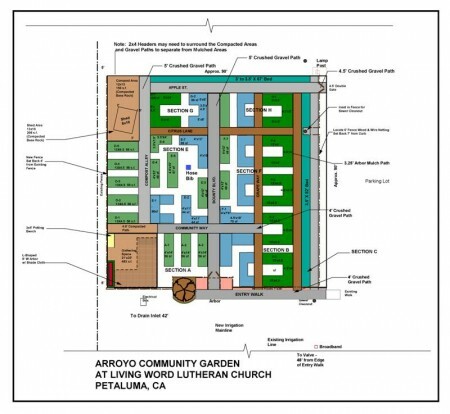 The garden is in the process of being constructed at the Living Word Lutheran Church in Petaluma. You can read the latest happenings at the Arroyo Community Garden Blog. 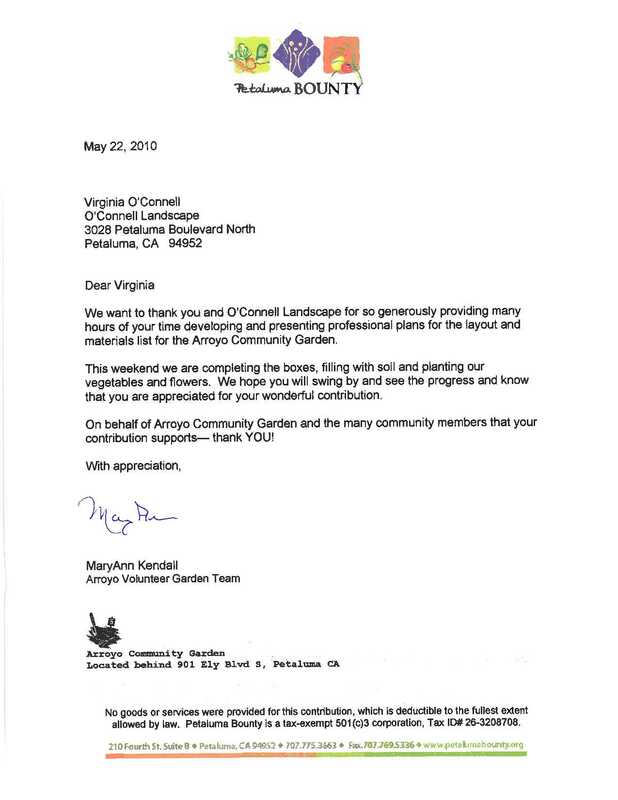 We want to thank you and O’Connell Landscape for so generously providing many hours of your time developing and presenting professional plans for the layout and materials list for the Arroyo Community Garden. This weekend we are completing the boxes, filling with soil and planting our vegetables and flowers. We hope you will swing by and see the progress and know that you are appreciated for your wonderful contribution. 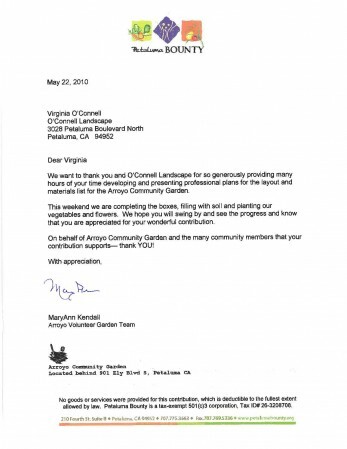 On behalf of Arroyo Community Garden and the many community members that your contribution supports— thank YOU!